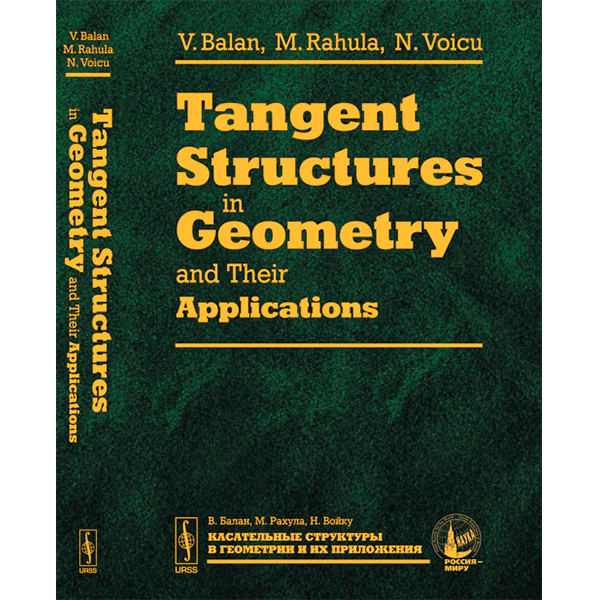 Autor: Balan V., Rahula M., Voicu N.
N Differential prolongations are usually obtained by means of differentiation and jets of mappings which are, in one way or another, related to local coordinates. The present book sets the foundation of prolongation theory on iterated tangent bundles, in a coordinate-free manner. Lie-Cartan calculus, the theory of connections in bundles and certain specific structures of Finsler geometry are developed in an invariant form. Applications of this approach include: electromagnetic field theory, generalized gauge fields, Hamilton, Lagrange, Maxwell and Einstein—Yang—Mills equations, Berwald—Moor connections, Jacobi-type stability problems and KCC-theory. The book is mainly intended for scientific researchers, but it can be also used as an advanced textbook. To this aim, the text contains numerous exercises and illustrative examples.